Photo Recovery Recover photos, videos, & audio files from all cameras and storage on Windows & Mac. Video Repair Repair multiple corrupt videos in one go. Supports MP4, MOV & other formats on Windows & Mac. Photo Repair Repair multiple corrupt photos in one go. Supports JPEG & other formats on Windows & Mac. iPhone Recovery Recover deleted photos, videos, contacts, messages, etc. directly from iPhone & iPad. 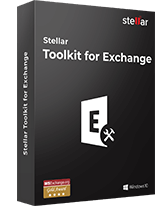 Stellar Data Eraser for File Permanently wipe files and folders, and erase traces of apps and Internet activity. Contact Our Technical Support Team, when you need our expert guidance for successful data recovery. We are here to resolve your queries about data recovery, optimization and data safety. Stellar Repair for MYSQL Technician is a competent tool that fixes MySQL database corruption and performs safe restoration of all inaccessible objects, including primary keys, views, triggers, etc. 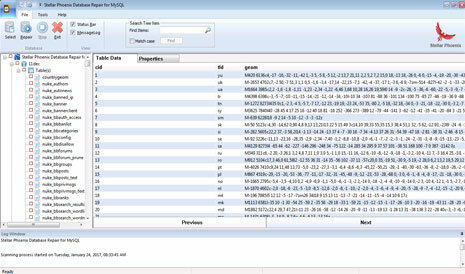 * Free download to repair & preview recoverable MySQL database objects. 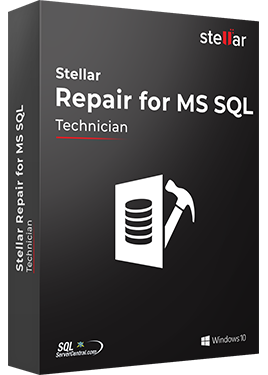 Stellar Repair for MYSQL Technician is an efficient and secure utility to repair corrupt or damaged InnoDB tables and MyISAM tables of MySQL databases. 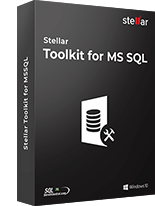 The tool effectively recovers all MySQL objects such as tables, relations, primary keys, data types, triggers, queries of views, etc. 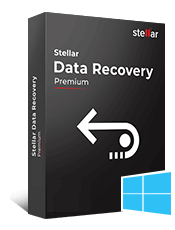 This software also performs MySQL recovery on Linux platform. To perform this operation, you have to copy your database folders and ibdata1 file from your Linux computer to Windows PC and then start the recovery process. Moreover, the software facilitates you to select multiple MySQL databases concurrently. You can manually select a folder, which is containing multiple databases and then choose items that you want to recover from each database. The tool has highly interactive user interface with menu ribbons, quick access tool bar, and search tree items. In addition, you can customize the Quick Access tool bar to perform MySQL recovery operation according to your own convenience. With all these features for smooth recovery of MySQL database and its various objects, the software also provides the preview of recoverable items in tree-like structure. From this tree you can select to see table properties, views, and triggers for recovery, additionally you can find specific items from this tree through the Find option of the software. You can see the preview of recoverable database items without installing MySQL in your system. 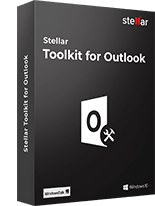 To evaluate this software, you can download its demo version, which only shows the preview of recoverable database objects. However, for actual recovery, you have to purchase the license of the software. The software is available in three licenses, which are Administrator, Technician, and Academic license. All three licenses are available in CD and Download. However, the Administrator and Academic licenses can be installed on multiple systems in one location, whereas the Technician license can be installed on multiple systems at different locations. 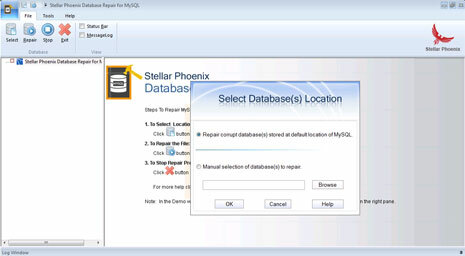 This is the main interface of Stellar Phoenix Database Repair for MySQL. Software appears along-with 'Select Database (s) Location'. If MySQL is installed on the system then choose first option otherwise choose second option. This is the database list present in the system. You can select one or multiple files for repairing. 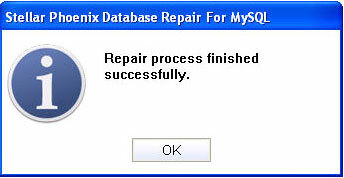 After selecting the database, click on the "OK" button to start repairing process. 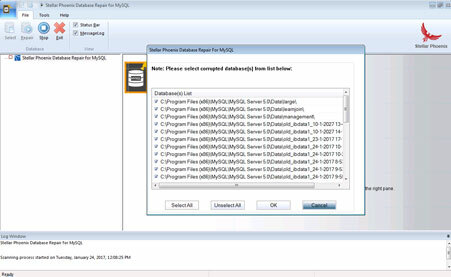 After completing repairing process, software will list all the database objects for preview. 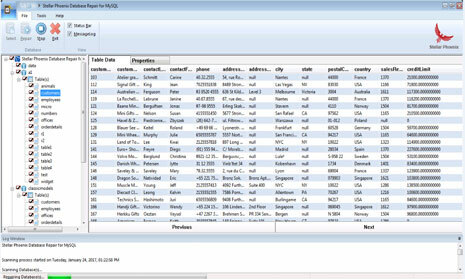 Click on any database objects from the left pane to see its preview in right pane. Click on 'Ok' button to save the repaired database. 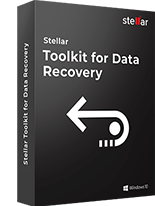 Repair damaged or corrupt MS SQL Server database files (.MDF & .NDF) Stellar Phoenix SQL Database..
Utility to recover inaccessible database objects by repairing corrupt Oracle databases, created in O..
Stellar Data Recovery is Registered Trademarks of Stellar Information Technology Pvt. Ltd.